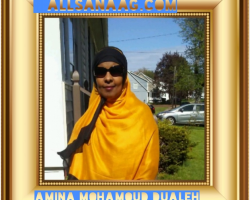 Allsanaag annually features and profiles an outstanding individual or an institution that has positively impacted and greatly contributed to the advancement of education, healthcare and economic development of the country and the community. The editorial board of Allsanaag, its writers, and contributors are responsible for the process of nominating, selecting and finalizing the Person of the Year award winner. After much thought and careful consideration of all the relevant facts and qualifications, a unanimous decision based on the individual or the institution with the highest virtues needed to win the esteemed award is reached. Furthermore, the winner who has received the honor of Person of the Year is made public. Sheikh Ali, a philanthropist and a successful self-made businessman who has the ability to inspire everyone around him, exemplifies the true character of a good leader. He is a consensus builder and a natural listener who will never seek anyone’s attention or be swayed by personal gain. His colleagues and business associates will tell you that he generally prefers to work behind the scenes, while patiently and meticulously weaving together complex projects without any reservations. These unique qualities of honesty, trustworthiness, and uprightness coupled with a conviction to excel in business and government have made him a sought-after deal-maker and a force to be reckoned with. Sheikh Ali’s charitable contributions extend across tribal and regional borders. He has helped the neediest and the most vulnerable members of our society regardless of their origin or tribal affiliation. Thanks to Sheikh Ali and his generous business associates and community members, many families who were financially unable to pay their children’s school fees got the help they needed to have their kids stay in school. In some cases, students who had graduated from high school were given the financial opportunity to advance their education and are now giving back to their communities themselves. As a businessman and someone who had witnessed firsthand the difficulties of creating viable economic growth in a region lacking appropriate and fundamental infrastructure, Sheikh Ali and his business associates knew that they had to do something drastic to change the economic stagnation of the region. Building a paved road from Ceeldaahir to Ceerigaabo seemed like a pretty good idea to start with. Although vital to the region’s economic development and prosperity, undertaking a major economic infrastructure investment posed a confounding dilemma. Sheikh Ali candidly acknowledged that initially, the idea of building a paved road through a harsh terrain and difficult landscape, without knowing who will bear the brunt of the financial responsibility, was far-fetched. Bold, calculated and somewhat risky, the initiation of Ceeldaahir Ceerigabo road project had begun. Immediately, they had organized and held a press conference in March of 2014, in Bosaso. 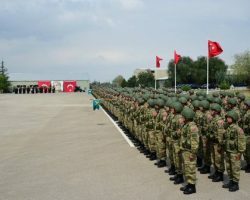 It was a tactical conference intended to share their grand vision with the public and to gauge their support ahead of time. The next steps of the project had not yet been pinpointed on their agendas. Rather, the flow of the project seemed to rely on observing reactions to their initial proposal and moving forward from there. However, their risky strategy paid off quickly. 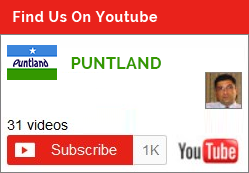 President Abdiweli Mohamed Ali Gaas confidently announced early in his tenure in office a major economic policy directive; “self-reliant Puntland”, a new economic policy plan for the state. 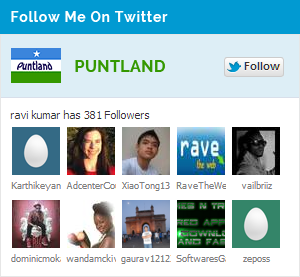 It didn’t take long before Puntland put its full weight behind the project. And on May 22nd, 2015, President Abdiweli Gaas attended an event held in Ceeldaahir city where he laid the cornerstone of the new road project. Exactly two years to the day since the start of the project, it is approaching its final stages. What was once a simple idea turned into a dream project before the eyes of the public. 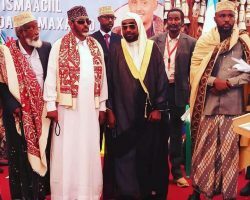 And if Insha Allah everything goes according to plan, it is expected Sanaag region would have, by the end of the next year, a major-paved road connecting the region to the rest of the country. The enormous benefits of such a modern infrastructure will have a far-reaching impact. It will increase economic and social growth in the region, make the region’s resource easily accessible to other parts of the country and will create jobs. It is a noble cause, one that deserves our unconditional support. We urge every Somali citizen to take part in this important project, no donation or help is too small to give. Be proud of your country, help build your country and become part of history. Allsanaag would like to thank every single member of the community who participated and financially contributed to the project. Without their support, this project may have been unreachable and merely remained an unattainable goal. From major business donors to small business owners, students, government employees, cities, and villages who along the way sheltered and provided food to the construction crew, all of them deserve our respect and admiration. In essence, this recognition is for all. 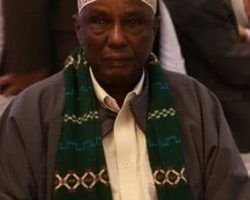 Finally, we would like to extend our sincere gratitude and appreciation to Boqor Burhaan Boqor Muuse for his generosity, President Abdiweli Mohamed Ali Gaas for his leadership and project managers and board members for their loyalty to the cause and dedication. 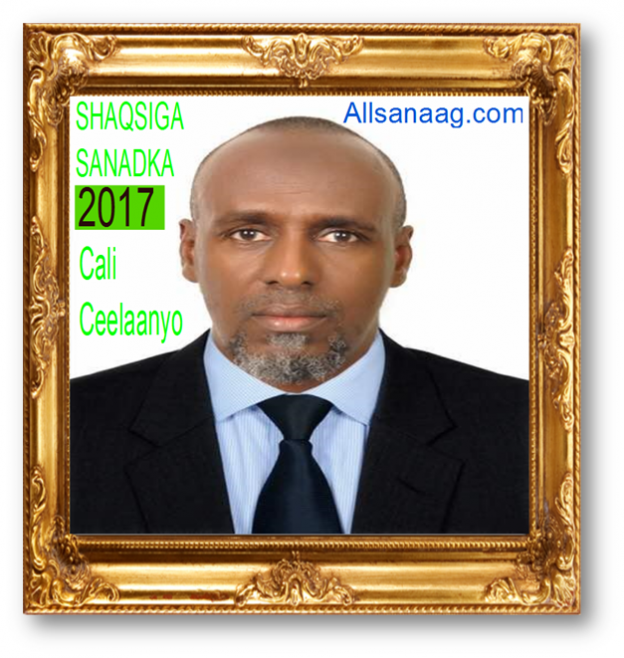 Allsanaag congratulates Shiekh Ali Mohamud Hassaan (Ceelaayo) for winning this award. We extend our congratulations to this individual as he displays exceptional ability and dedication to promoting economic growth in the region. His hard work and devotion does not go unrecognized.